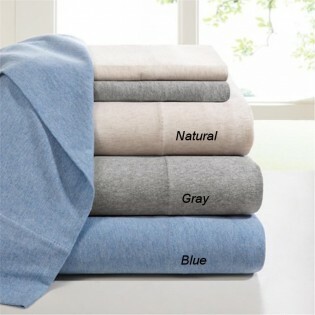 Made from 100% cotton, the Jersey Knit Sheet Sets will remind you of the comfort of your favorite t-shirt. 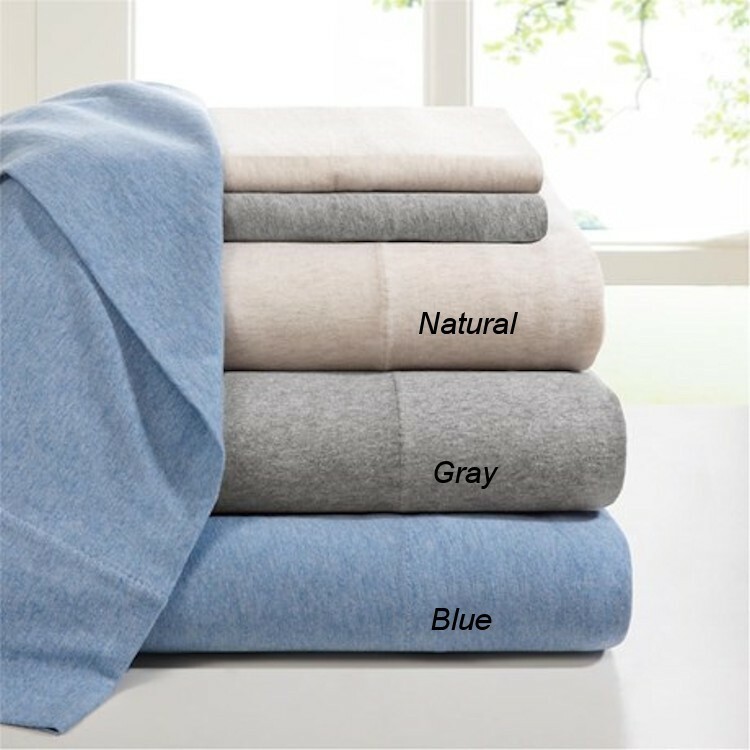 These sheet sets feature heathered colors for a relaxed casual look. They are soft, durable, and machine washable for easy care and are perfect for year round use. The fitted sheets fit up to a 16" mattress height.